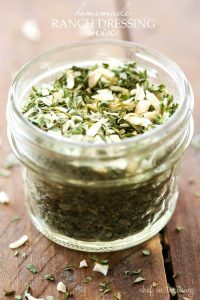 I Love having Ranch Dressing Mix on hand, but the homemade version is SO much better and is so much better for you as far as ingredients go. I LOVE knowing what is going into my foods. 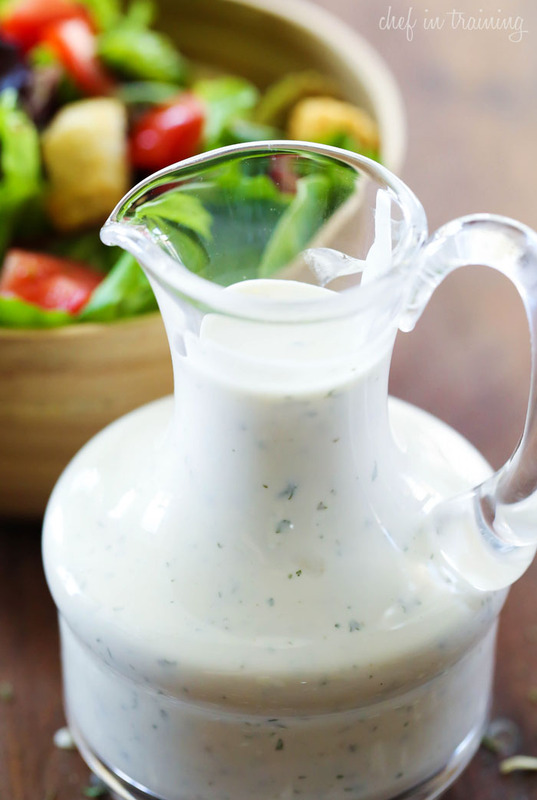 Today, I am sharing 2 ways to make Homemade Ranch Dressing Mix. One recipe comes from my grandma’s recipe book she gave me (the one without powdered buttermilk) and the other one comes from Food.com. I prefer the recipe with powdered buttermilk because I usually always have milk on hand, but not necessarily buttermilk. Granted, you can always make your own by using milk and a little lemon juice. You just blend down the spices to a fine consistency. I use a food processor to make this process a lot more simple. It seriously does it in seconds. Add some mayo and milk to it as you want, and you have got yourself some DELICIOUS Homemade Ranch Dressing! You can also use it for recipes that call for Ranch Dressing Mix- using the one with powdered buttermilk of course. Use 1 Tablespoon for any recipe calling for an envelope of Ranch Dressing Mix. This is SO simple, so easy to make and is GREAT to have on hand! It tastes so much better homemade! In a small mixing bowl, mix dry minced onion, salt, garlic powder and parsley together. 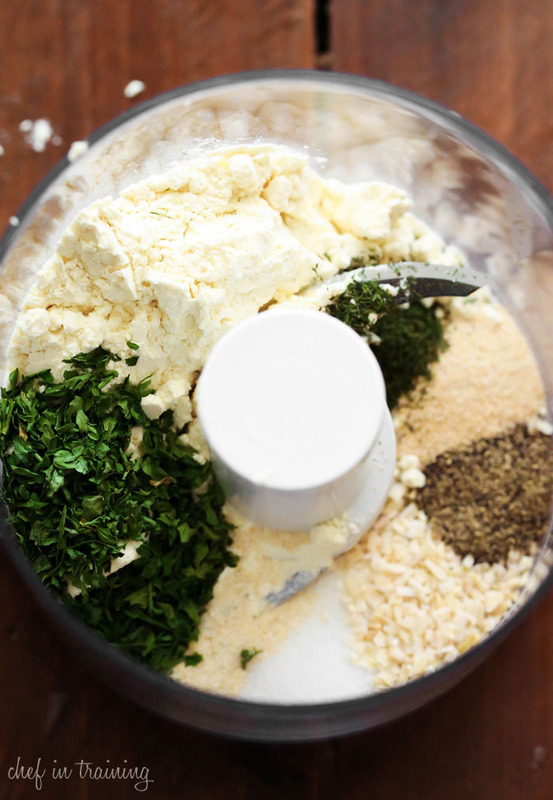 Directions for Ranch Dressing: Mix ⅛ cup of mix with 1 cup mayonnaise, and 1 cup buttermilk. 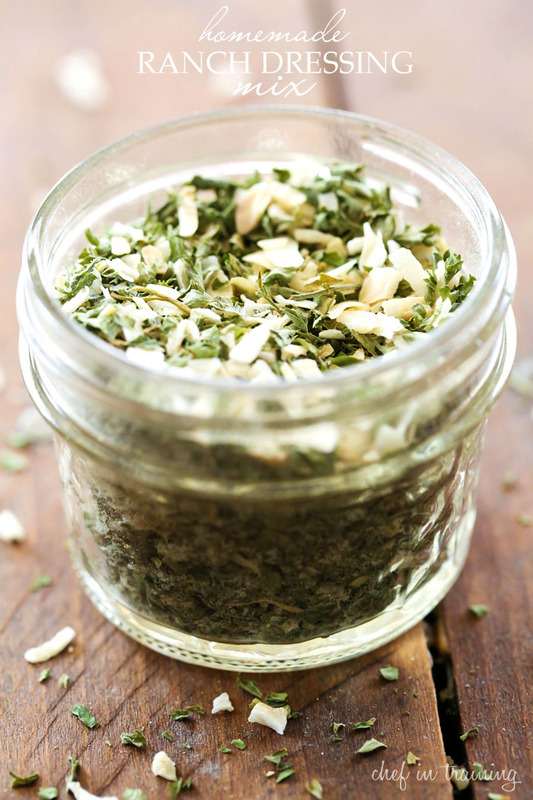 Mix well and store in an airtight container in the refrigerator. 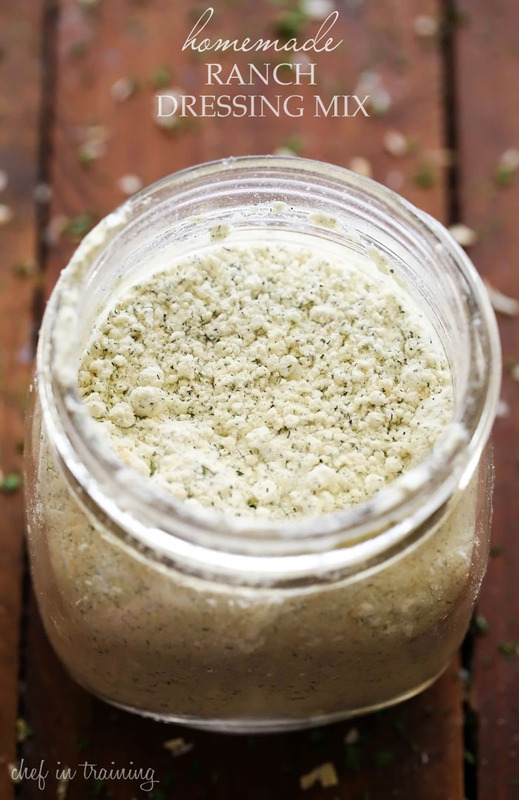 Combine all Buttermilk Powder Ranch Dressing Mix ingredients into food processor or blender. Pulse and blend until powder and fine. For salad dressing, combine 1 Tablespoon mix with 1 cup mayonnaise and 1 cup milk. For any recipe calling for an envelope of ranch dressing mix, use 1 Tablespoon of mix. Where do you find buttermilk powder? I have kept a container of buttermilk powder on my pantry shelf or in the refrigerator for years. It's right off the shelf in the baking section of many grocers. Now, I don't worry about having it on hand for cooking and baking. Great idea to have the mix on hand too! Thanks! I'll look for it at the grocery store. My kids love ranch!! And this looks so much better than the store bought kind. In my local Walmart buttermilk powder is sold right by the canned evaporated milk. It's in a short, round whitish-colored container with a red lid. It is this one I found on Amazon. Much cheaper at Wally's. We use the Auguson Farms Buttermilk Powder sold by Walmart, though depending on your local Walmart, you may need to order it online. We do that, too -- the Walmart website carries it. I mix the powder with regular milk for creamy dressings. It's perfect. Recipe looks perfect, though I may double it and keep a jar of it in the fridge, so I don't have to make it as often. Ranch is our go-to dressing for a lot of things. I used this recipe with powdered rice milk for m son on a potassium restricted diet. It turned out amazing!! Even with the rice milk I prefer it over my store bought ranch. Just wondering where you found powdered rice milk? I have dairy-intolerant people in my family. Would love to try this. What kind of mayo do you mix it with? Miracle whip or Helmans? Both have very different tastes! Technically Miracle Whip isn't "mayonaise" it's "salad dressing". So I would go with the Helmann's. Does it need to sit in the fridge? Ours ended up really liquidy and not very strong. Miracle Whip is NOT mayonnaise!! I like this idea for my friends with issues with milk products in their family. This recipe would be easy to adapt to make it gastointestininal friendly for the whole family. Your recipes look amazing! I can't wait to try some of them! I am going to make the cheddar cheese ball soon. one cup of whole milk makes this way too thin....next time I will add milk one teaspoon at a time....Otherwise, the mix is great. I used it for vegetable pizza and it was delicious. Is there something I can use instead of buttermilk powder? That doesn't exist here, in Mexico. How long do you think this would keep in the fridge when prepared as salad dressing? I'm planning to make and keep in a repurposed ketchup squeeze bottle. Why not just add water If you're using powdered buttermilk? I previously wrote asking about just using water in powdered buttermilk. I found the following. To make 1 cup of buttermilk just mix ingredients. To make a delicious quart of buttermilk just mix 1/2 cup of dry buttermilk powder with 3-1/2 cups water. Can you use sour cream or plain yogurt instead of mayo? Mine came out very runny. Like liquid. Is it suppose to be this thin?